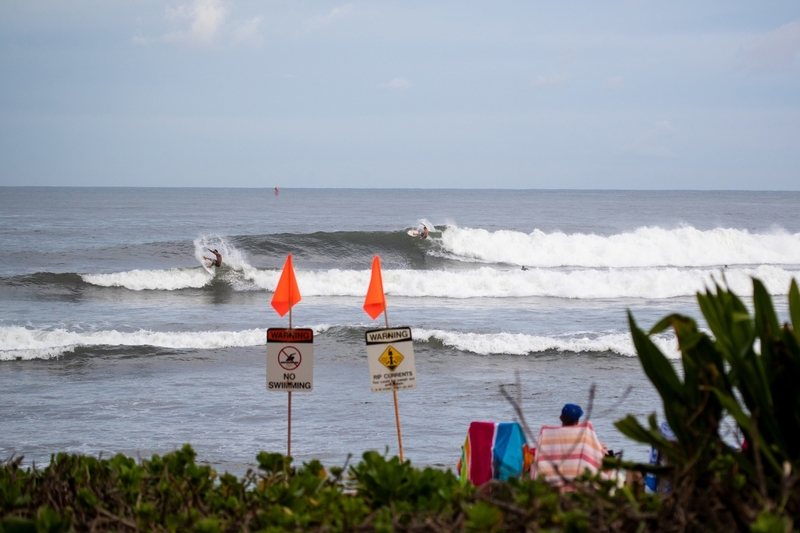 The Hawaiian Pro has set the stage for another dramatic day of surfing in double overhead waves tomorrow at Haleiwa Ali‘i Beach, with contest organizers eyeing a Saturday showdown for the final day of competition. Top international seeds hit the water today in Round 3 and although it was called off after Heat 8 due to declining surf and onshore winds, World Title Contender and Hawaiian Pro defending event winner Filipe Toledo (BRA) closed the day with an exciting performance against North Shore teens Baron Mamiya (HAW), 18, and Wyatt McHale (HAW), 17, along with Santiago Muniz (ARG). 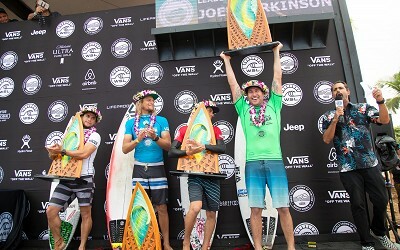 The Hawaiian Pro is the opening event of the 36th Annual Vans Triple Crown of Surfing (VTCS) and second-to-last Qualifying Series (QS) competition on the World Surf League (WSL) circuit. The top-rated QS 10,000 attracts some of the best athletes from around the globe, including Championship Tour (CT) surfer Toledo, who is one event away from potentially securing his first World Title. Today, the Brazilian fought his way through the challenging surf at Haleiwa for second place advancement behind Mamiya. WSL Hawaii/Tahiti Nui Regional Junior Champion, Mamiya put on a clinic in Heat 8 with radical surfing and strategy. His best wave, an excellent 8.23, was for two frontside power turns with a snappy fin release as a closing statement. Ahead of this ride, he scouted an aerial opportunity under priority and split the peak with Toledo, who opted for the right. Mamiya landed a backside tail-high reverse to the applause of beach fans and improved his scoreline. His second-best wave, a 7.73 earlier in the heat, was for a big frontside turn to an inside snap. Meanwhile, Toledo matched Mamiya’s power with his own fast style and earned a 7.43 for a variety of frontside maneuvers on the right. 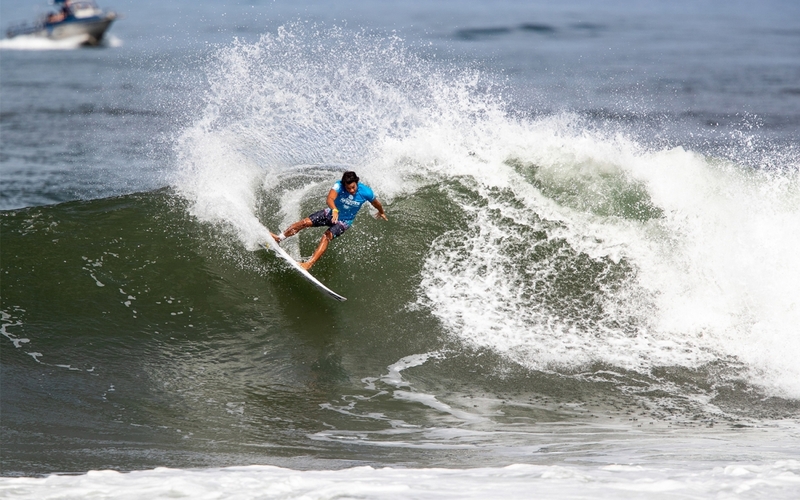 Earlier in the morning, Seth Moniz (HAW) took the heat win over Miguel Pupo (BRA), both who are vying for (and well within reach of) a place on the 2019 CT. Ranked within the Top 5 on the QS, Moniz made his heat count with an excellent 8.00 ride to open his campaign, then backed this up with a 5.93 after boosting a lofty frontside air. The regular-footer has stayed busy this year competing on the QS and earned his best result – a runner-up finish – at the Ichinomiya Chiba Open Men’s QS 6,000. Following Heat 8, WSL Hawaii/Tahiti Nui Tour Manager and contest director, Marty Thomas, called the event off for the day.